Two is my favorite childhood age. Two year olds are just so cute! They still love their mamas and snuggling, but they also strive to be independent. It’s fascinating to watch them learn something new each day. But with the cute words and adorable faces come temper tantrums. There is a reason it is called the terrible twos. I was about to pop with my second baby and we decided to go to out for a walk. There is a beautiful outdoor shopping center near our house. So after dinner we went over for a stroll. We passed the ice cream shop and our two year old daughter asked for some. We told her “Not this time sweetie” and kept walking. Well she was not satisfied with that answer. She quickly decided she needed ice cream and starting having an epic meltdown. One of those lovely 2 year old tantrums. She started screaming at the top of her lungs and going limp when you tried to hold her hand. The works. My husband eventually had to scoop her up and carry her to the car. It was not the evening stroll I had in mind! We quickly realized we needed to do something about this behavior because another child was about to come into our home. How was I supposed to handle two screaming children!? So we talked with family and they said something that really stuck out to me. 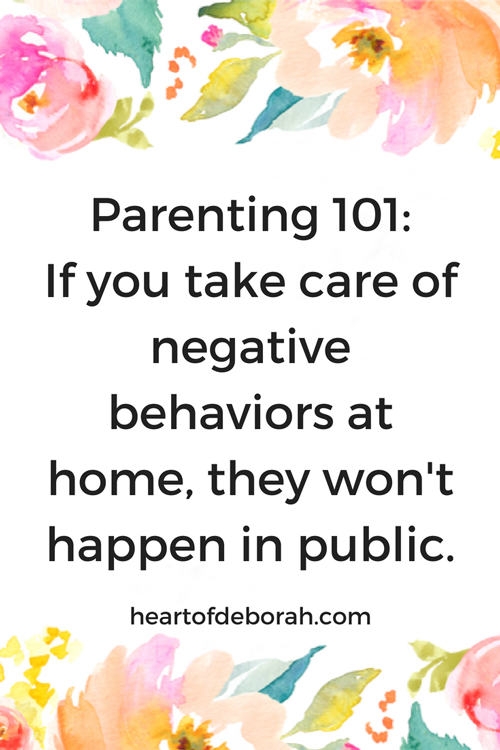 If you take care of these behaviors at home, they won’t happen in public. I thought “yeah right” and if I’m being honest I responded a bit defensively. I believed we were taking care of it at home! The next week I took a step back and evaluated myself. I soon realized there were numerous times when my daughter whined for something and I didn’t address it or I caved and gave her what she wanted without reprimand. It was true! I wasn’t addressing the misbehavior at home. So how does this relate to public temper tantrums? Are you saying that there will never be a tantrum again? So instead, they do what they know. They pout, cry, scream because it gets them what they want. Now you understand why this age is nicknamed the terrible twos. Even for adults, it’s not always easy to understand our emotions and express frustration. So how can we expect two year olds to do this without some coaching? 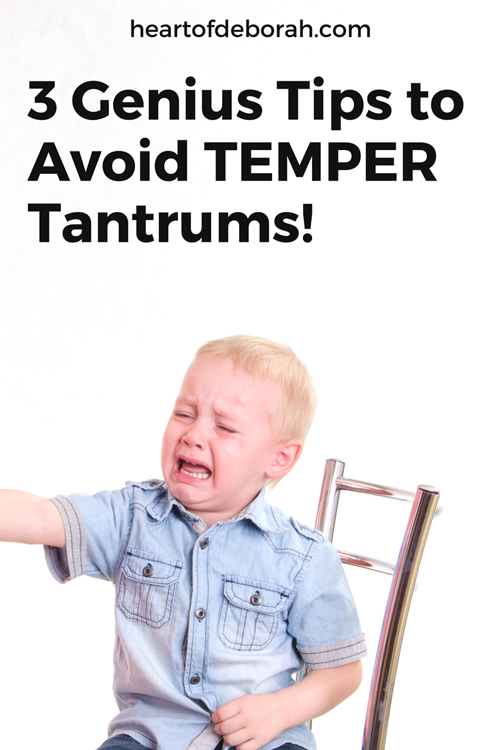 There are things we can do to limit the number of tantrums from occurring. Be consistent and do not give in to the two year old tantrums!!! This is so important! The National Association of School Psychology (NASP) has a handout about temper tantrums for parents and teachers. Download the handout here. 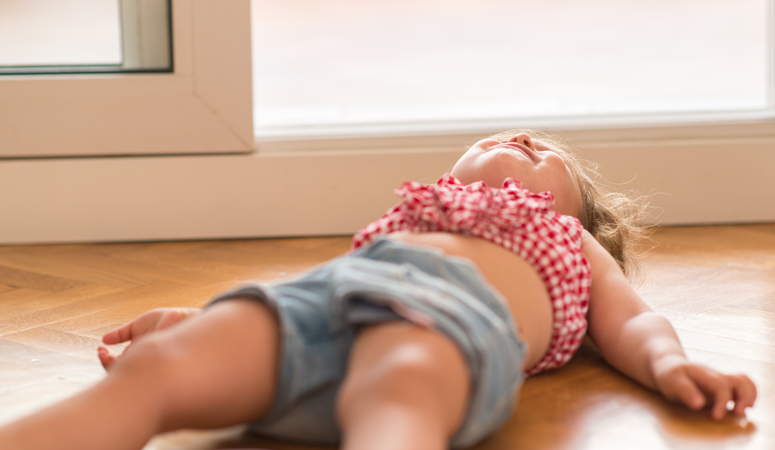 NASP points out that even when a child has the verbal skills to say “I need help” or “I want a snack” they may engage in a tantrum IF they have learned that tantrums are an effective way to get help or get what they want. So we have a choice as parents. If we stop the tempter tantrums at two hopefully they won’t continue on to three, four or beyond. It is very important not to give in to the outburst! When you do the hard work at home, it should help when you are out in public. 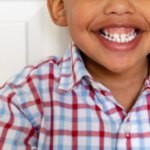 Address the little and the big behaviors at home. If your child consistently whines every time they ask for a snack, stop giving her one until she asks nicely! Prepare yourself! I love so many things about two year olds, but I always have to prepare myself for this stage. 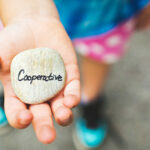 I don’t love confrontation so I noticed with my first child I often gave in, to avoid the meltdown. In the long run this was not helping her develop good behavior and instead it develop bad habits. It’s hard! I know. Especially when you have a thousand other things to be doing. How can we possibly correct every single little behavior? We have to try our best and we have to be intentional about parenting. Take time each night to stop and reflect. How did you handle the whining today? Were there moments where you stood your ground? Celebrate! What can you do better next time? With practice, it gets easier to stand up to the tantrums and be firm. Instead of just reprimanding them you teach them how to cope. Give them a way to get the anger out and help them identify the feeling. You can also build their social emotional skills with books. Here is a collection of books I used as a school psychologist to reinforce identification of feelings and positive behavior. So there you have it. 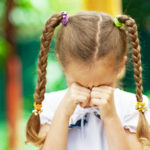 Three tips to help your child deal with temper tantrums. You may be skeptical like I was at first, but give it a try. Be consistent and every time your child whines have a plan on how to respond. Now I understand nothing in life is guaranteed. 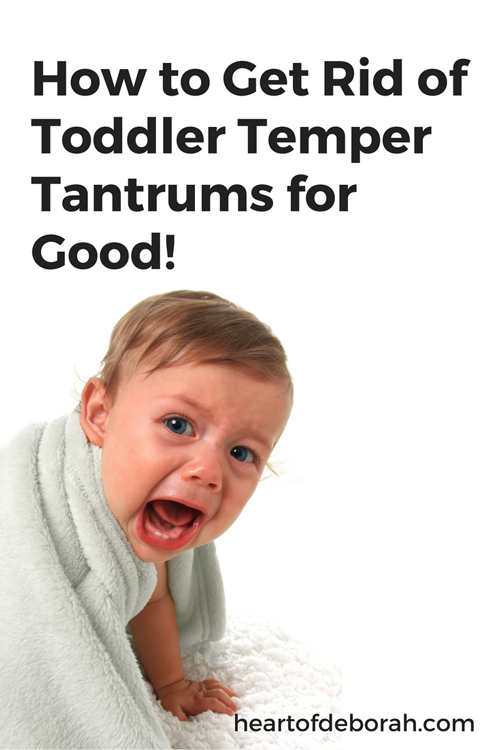 But I truly believe if you nip the bad behavior at home and during the terrible twos it will GREATLY reduce the number of tantrums in the future! Watch My IGTV About 2 Year Olds! How do you handle the terrible twos? I’d love to hear from you in the comments below. 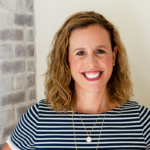 Also be sure to sign up for our newsletter so you can receive the latest parenting tips and encouragement from Heart of Deborah.